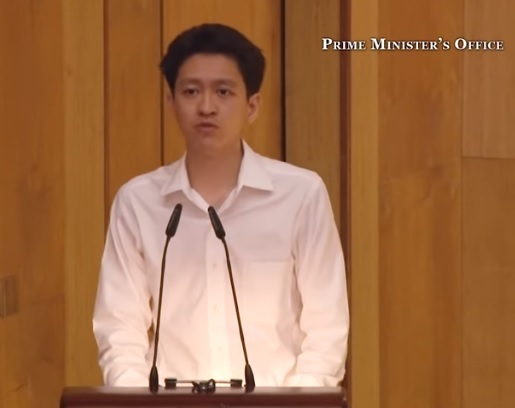 Mr Li Shengwu, age 34 and nephew of Prime Minister Lee Hsien Loong, faces the Court of Appeal today, Friday January 18 and articulates his arguments regarding a prior decision which allowed the Attorney-General’s Chambers (AGC) to serve papers on him outside of Singapore. The arguments were put in order in defense of Mr. Li’s Facebook post published in July 2017 stating that Singapore has a “pliant court system” and that the Singapore Government was “very litigious.” At the core of the said appeal is the question of whether or not AGC has jurisdiction of Li when the papers were served on him. Mr. Li submitted an application to set aside the court order which granted the AGC permission to serve papers on him in the US, but the High Court dismissed his application in March 2018. Mr. Li who at present is a resident of the United States and works as an Assistant Professor of Economics at Harvard University, turned to the highest court in Singapore – the Apex Court, in an effort to appeal the High Court’s decision. Subsequent to an Apex Court hearing in September 2018, Chief Justice Sundaresh Menon and Judges of Appeal Judith Prakash and Steven Chong granted Mr. Li his request to make an appeal against the High Court’s decision. The Court of Appeal directed both the AGC’s lawyers and Mr. Li’s lawyers to make legal submissions addressing questions such as — 1) What written laws, if any, allow the Singapore Court to exercise substantive jurisdiction over a person located overseas in a contempt matter; and 2) whether the AGC can rely on a newly enacted law to serve documents on a person whose alleged contempt of court was committed before the law was enacted. Mr. Li’s lawyer, Abraham Vergis, along with AGC’s senior counsel Francis Ng, made their arguments in a jam-packed court to Chief Justice Sundaresh Menon and Judges of Appeal Tay Yong Kwang and Steven Chong.